During Hispanic Heritage Month we celebrate our Latino culture and spotlight those that are serving as cultural ambassadors sharing our traditions and influences with society. 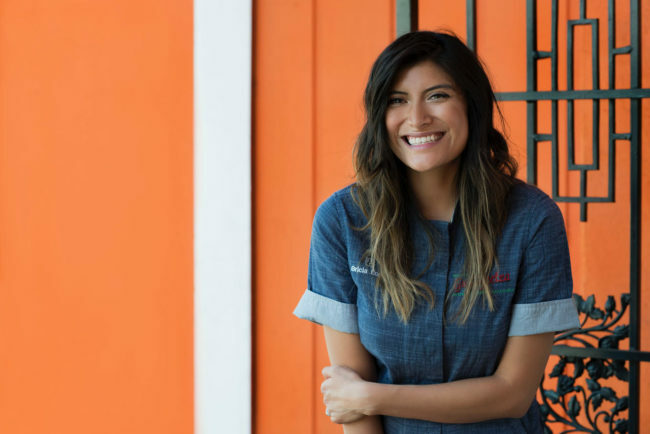 Chef Bricia Lopez of Guelaguetza, a James Beard Award winner and restaurant favorite in Los Angeles is a big advocate of her native Oaxaca, Mexico, mostly by the regional specialties her and her family serve at the restaurant. She shared some trends she’s seeing in the kitchen and on menus everywhere inspired by Mexican cuisine and culture. What kind of flavors and homemaking activities can we expect more of in the upcoming year? I predict we’ll see bolder, smokier flavors that are heightened through the layering of spices and chiles. I love making homemade tortillas at home with my 3.5 year old son and I hope it’s something that more families start doing at home. For me, it’s an easy way to pass down tradition to my son and spend time in the kitchen, which I love. What region (s) of Mexico do you think will be the most influential to the overall Mexican food scene? I am of course bias to Oaxaca, but I do think that Baja California, Puebla and Sonora will also be the most popular. Is there a trend in Mexican cuisine you are seeing now that you hope lives on? I hope vegan-friendly Mexican dishes continue to grow in 2019. Many people have a misconception that Mexican can’t be vegan, when in reality our indigenous roots are vegan. What dish will you be serving up this fall to friends and family in honor of Hispanic Heritage Month? Being from Mexico, we have such a variety of chiles that are widely used in our cuisine. 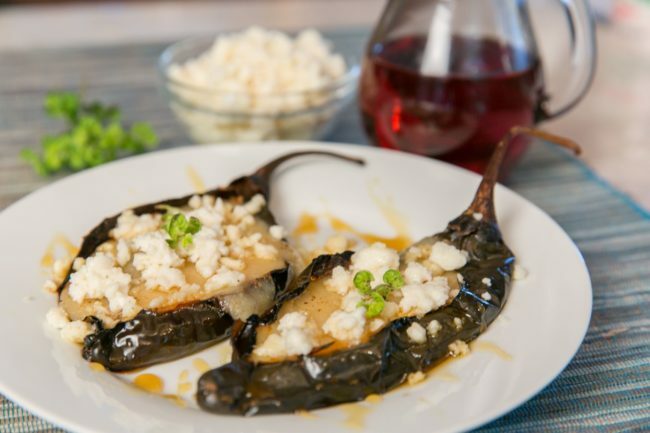 I love the flavors of Pasilla Chiles and I created this Stuffed Pasilla Chiles recipe with melted Cacique Manchego cheese. It’s pretty easy to prepare and the honey/piloncillo syrup really heightens the flavor of both the chile and cheese. For the Syrup: Under medium heat, add water, honey, piloncillo , thyme, cloves and anise to a saucepan. Once it comes to a boil, reduce heat and simmer and reduce for 10 minutes. Discard the thyme, cloves and anis, then allow to cool. For the Chiles: Boil water with piloncillo and sugar. Drop in the Chiles and allow them to boil for 5 minutes. Remove from heat, cover pot and allow the chiles to soak for another 20 minutes, until the chiles have softened. Once the chiles have softened, remove from hot water and allow them to cool for a few minutes. Combine Cacique Queso Fresco with chopped Epazote leaves. Make a slit on the chiles from top to bottom, then stuff with 3 oz. of Cacique Manchego. Drizzle syrup on top of cheese and broil for 2 minutes, until cheese has melted. Remove from stove and allow any excess juice from the Chiles to drain. Top with an extra drizzle of syrup and garnish with fresh thyme flowers, fried Epazote leaves and crumbled Cacique Queso Fresco.